Browsing through wedding cake catalogues is a mouth-watering prospect and there are so many options on offer it can be difficult for couples to know where to begin. For this reason we recommend using your wedding venue as the starting point for your wedding cake design. Here are three ways your venue can impact your choice of wedding cake. 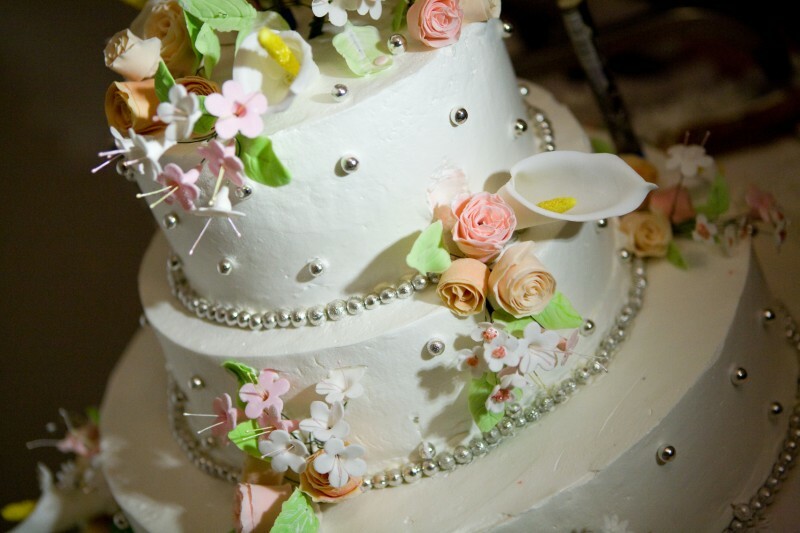 There are many practical concerns to consider when determining the suitability of a cake in your chosen wedding venue. 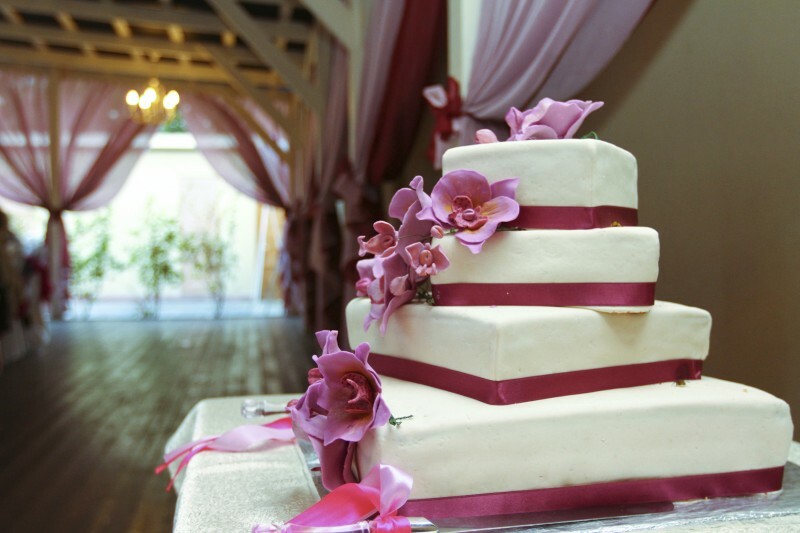 It might be possible for your venue to store the cake for you in a refrigerator until it is needed at the reception. It is also worth checking to see whether they will cut and serve it once your cutting ceremony is over. If you want your cake to be sliced and served in front of your guests, you will need it to be able to withstand slicing without crumbling and sticking to the knife. If you feel as though your cake will be difficult to cut neatly, ask about having it sliced up in the kitchen. Those having an outdoor reception in summer may need to avoid a number of tasty ingredients; including chocolate, ice cream, and anything else that may melt. If you have a really unusual venue such as a boat, your cake should be robust and able to withstand the potential movement. Should your function centre be air conditioned, however, you can relax and choose almost anything you like. Never underestimate the impact the size of your room will have on the appearance of you wedding cake and therefore, the size and style of cake that should be chosen. Smaller wedding cakes will be dwarfed in large venue such as ballrooms and function suites, especially if the display table is too large. However small cakes are-well suited to venues such as restaurants and boutique hotels. Grand rooms such as ballrooms or function halls require bigger cakes, with those with high ceilings needing cakes with multiple tiers to make an impact. If you’re having your reception in a contemporary venue, ‘kooky’ cakes with a highly-elaborate pattern of polka dots or stripes could complement your venue perfectly. On the other hand classic white cakes with lace effect icing and ribbons are a must if you are holding the reception in a historic stately home.